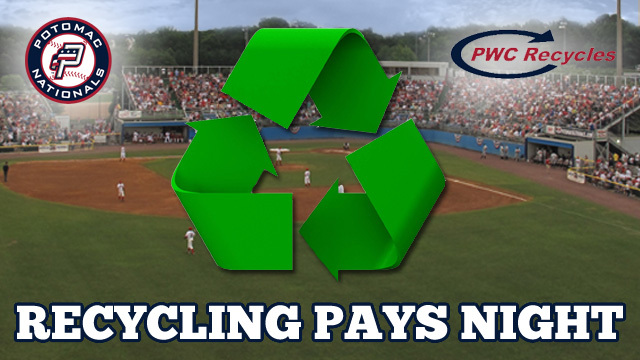 The Potomac Nationals are excited to announce a pair of “Recycling Pays” nights at Pfitzner Stadium sponsored by the Prince William County Recycling Program. The first recycling appreciation night is scheduled for Friday, July 18th as the Nationals take on the Wilmington Blue Rocks (Kansas City Royals), and the second evening in which recycling will be in the spotlight is Friday, August 15th in a P-Nats contest against the Carolina Mudcats (Cleveland Indians). 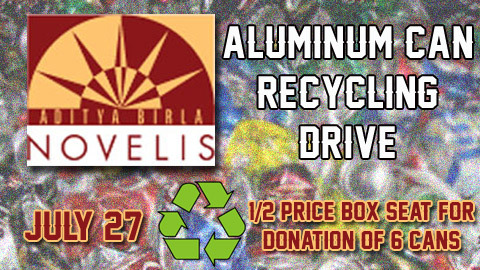 P-Nats fans will get the opportunity to save money and the environment with these events thanks to Prince William County Solid Waste Division’s Recycling Program. All fans who show up to the Potomac Nationals Ticket Office on each game day with recyclables in hand will receive half-off general admission tickets. In addition, everyone who tweets or posts to Facebook a picture of themselves recycling inside the ballpark during the July 18th game will receive a ticket to the second recycling night on August 15th. On August 15th, the P-Nats’ faithful may also bring recyclables to receive 50% off GA tickets for that evening’s game and can tweet or post to Facebook the act of recycling at The Pfitz to receive an undated ticket voucher for the 2015 season. The Prince William County Solid Waste Division (SWD) provides solid waste management, recycling, composting and waste resource education to over 400,000 residents. The division employs more than 50 people and operates the only active Extraordinary Environmental Excellence (E4) rated landfill in Virginia, the highest level of certification awarded by Virginia Department of Environmental Quality‘s (DEQ) Environmental Excellence Program (VEEP). In 2013, the SWD also earned the Governor’s Gold Award for Environmental Excellence for its Sustainability Program. The SWD is a part of the Prince William County Public Works Department, an accredited agency of the American Public Works Association. 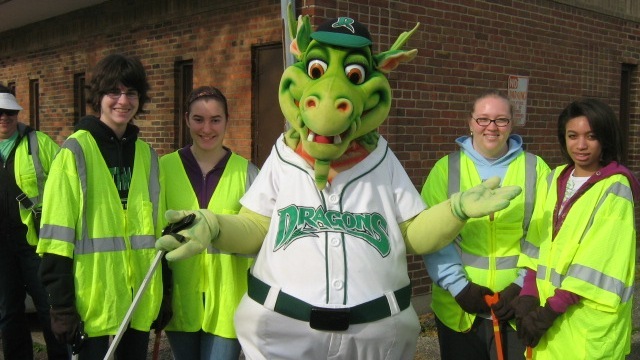 As part of the Great American Cleanup initiative, the Dayton Dragons and the Montgomery County Environmental Services will host a cleanup event on May 10th from 9:00 – 11:00 a.m. at 624 Xenia Avenue in Dayton (East End Community Services). Dragons players, staff members, Heater, and the Dragons Green Team will pitch in to clean the surrounding neighborhood along with volunteers who can register at daytondragons.com/cleanup or by calling Nisha Jaga at (937) 228-2287 ext. 115. DAYTON, OH – The Dayton Dragons and Cohen Recycling will be teaming up to help Miami Valley residents recycle unwanted electronics. Cohen Recycling will be collecting unwanted electronics on both June 11 and July 20 on the Fifth Third Field Plaza. Recycle your old computers, cell phones and other unwanted electronics! 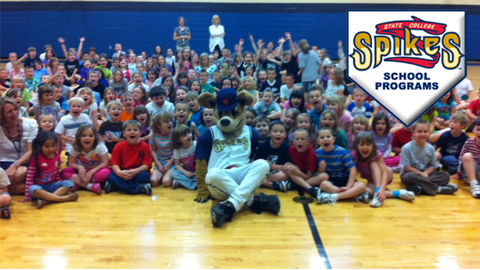 Bring them to the plaza at Fifth Third Field on June 11 from 7am – 3pm and Cohen will do the rest. Enjoy FREE breakfast or lunch while you’re there! Each car will get a FREE Dragons t-shirt and an entry to win a “VIP Experience” including throwing out a first pitch at a Dragons game! Cohen will also be recycling electronics on the plaza at Fifth Third Field on July 20 from 2pm – 5pm. 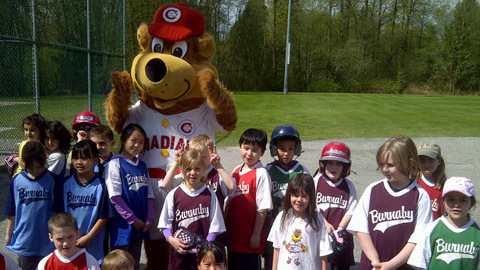 You can meet the Dragons mascots, Heater and Gem, and the Green Team! Kids can play some inflatable games, get balloon animals and glitter tattoos. Each car will get a FREE Dragons t-shirt and an entry to win a “VIP Experience” including throwing out a first pitch at a Dragons game! 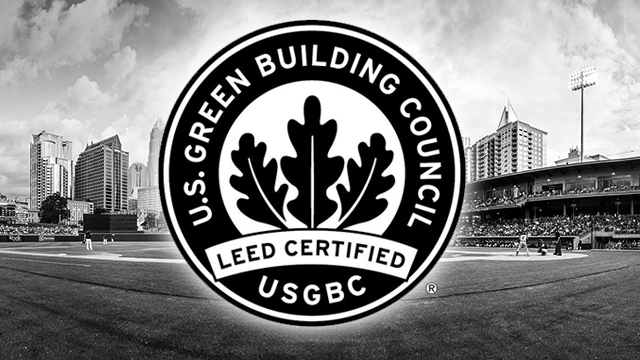 MIDLAND, Mich. – In October 2012, the Great Lakes Loons and Dow Diamond announced a corporate partnership with the Dow Chemical Company and Dow Corning to enhance sustainability practices across all aspects of the organization. Today, the Loons released their first quarter report detailing efforts made to reach the ambitious goal of reducing total energy used, water used and waste generated at Dow Diamond by 50 percent in 2020. Highlights from the first quarter report include a new composting program for Dow Diamond’s food waste, as well as the installation of LED lighting and occupancy control sensors that will significantly reduce kilowatt hours of electricity used and carbon dioxide emissions generated from lighting fixtures. The composting program was launched in conjunction with Morgan Composting, located in Sears, Mich., to deposit food waste generated from Loons home games and events at Dow Diamond. Once fully composted, the material will be used to fertilize Dow Diamond’s grounds and flower beds. This program will reduce landfill waste, while also reducing the organization’s dependence on fertilizer products for Dow Diamond’s grounds. The organization recently expanded the use of occupancy control sensors throughout various areas of Dow Diamond. The sensors will result in the reduction of approximately 6,445 kilowatt hours used to light areas of Dow Diamond and lower carbon dioxide emissions by approximately 15,588 pounds-per-year. More efficient LED lighting has also been installed in various areas of Dow Diamond, which will result in an energy reduction of approximately 15,303 kilowatt hours and reduce the carbon dioxide generate every year by approximately 36,575 pounds. Over the past several months, Loons staff members have spent time learning from corporate sustainability leaders at Dow and Dow Corning, as well as other regional organizations. From those conversations, the Loons have outlined various areas to increase efficiency, while also reducing the use of energy, water and the amount of waste generated. 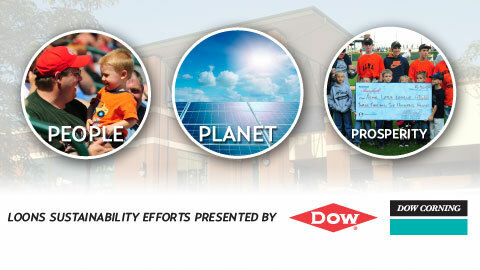 Click here to view the Great Lakes Loons First Quarter Sustainability Report for 2013. 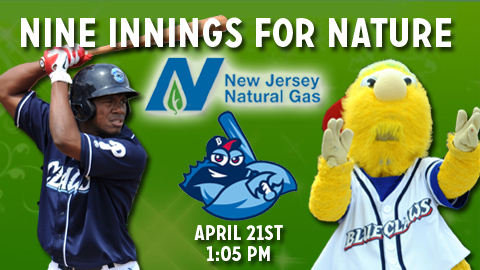 LAKEWOOD, NJ – “Go Green” with the BlueClaws and New Jersey Natural Gas and celebrate Nine Innings for Nature on Sunday, April 21st at the team’s 1:05 pm game. The sixth annual event, a celebration of environmental education thanks to New Jersey Natural Gas, will include several vendors displaying information about going green and energy efficiency. Plus, 1,000 fans will receive a tree sapling on their way out of the ballpark. Leading up to this year’s Nine Innings for Nature, fans can participate in a new Recycled Art Contest, with the winner receiving one night in a BlueClaws SkyBox for 20 people. Entries must use recycled content – either recycled materials or items which can be recycled. Materials may include metals, paper, clothing, rubber, glass and plastic. Permitted use of non-recyclable fasteners, such as glue or tape. There are no limitations on size or format. However, we do ask that it be safe – no rough edges and it must be sturdy. All entries must be received by April 17th (delivered to FirstEnergy Park). Judging and prizes will be completed during the game. Among those that will have tables at the event: New Jersey Natural Gas, The Save Green Project, Jenkinsons, EZNERGY, Sea Bright Solar, Barnegat Bay Blitz DEP, Sustainable Jersey, and United States Green Building Council. Free Tickets: Fans can earn a free ticket to the game in a number of ways. Anyone that rides their bike to the ballpark will get a free ticket, as will everyone whose last name is Green or Greene (must show ID at the sales window). In addition, because the game is on a Sunday, regular BlueClaws Sunday promotions will be in place too. Kids Eat Free thanks to ShopRite and Kids Run the Bases after the game thanks to TD Bank. Dr Bernard’s Kids Zone will be open, for free, courtesy of New Jersey Natural Gas from noon (when the gates open) to 1 pm. To order tickets, call 732-901-7000 option 2 or click here to order online. The Tulsa Drillers announced today that they have partnered with PepsiCo and Waste Management, Inc. to locate two Dream Machine recycling kiosks within ONEOK Field. 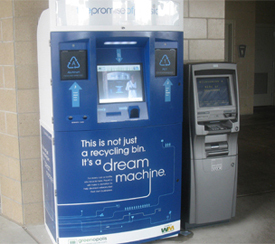 Dream Machines are computerized receptacles that include a personal reward system that allows consumers to collect and redeem points for each plastic bottle or can they recycle in the kiosks. At ONEOK Field, one kiosk will be located on the main concourse behind home plate, while another will be placed in the outfield plaza in centerfield. As part of the program, each item that is placed for recycling will help to provide funding to the Entrepreneurship Bootcamp for Veterans with Disabilities (EBV), a national program offering free, experiential training in entrepreneurship and small business management to post 9/11 veterans with disabilities. In addition, fans that recycle through the computerized kiosks will receive coupons for valuable discounts and offers. The Dream Machines are provided by GreenOps, LLC, a subsidiary of Waste Management , and operated by Greenopolis, the first interactive recycling system that brings together online and on street technologies and rewards people for recycling their beverage containers in kiosks by allowing them to receive awards when they visit Greenopolis.com. PepsiCo and Waste Management are placing Dream Machines in high-traffic public venues such as stadiums, gas stations and public parks to capture the maximum amount of beverage containers from consumers. The goal is to increase the U.S. beverage container recycling rate from 34% to 50% by the year 2018.